London is, without doubt, one of the great cities of the world. Full of famous attractions and historic sites, as well as lots of less famous and slightly more quirky attractions you may not have considered. Here is my quintessential recommendations for London's five 'tourist-attractions-less-travelled' for when all the fabulous cathedrals and historic houses are starting to pall. Tucked away in London's East End is the UK's oldest manufacturing company - the Whitechapel Bell Foundry, established in 1570, when Elizabeth I was queen of all she surveyed. The largest bell it has cast is probably the most famous in the world - London's 13.5 ton Big Ben. There is also a list on their website so that you can find out if your bell was cast in the foundry here. Tours of the foundry are offered (GBP12 per person) when it is not in use, but must be pre-booked via the website, and there is a museum and shop which can be visited weekdays 9-5pm. If you really enjoy the tour, you can even buy a bell of your own. Small bells start at GBP50 and rise up to almost GBP50,000 for a 60 inch tower bell. When I lived in South London, my neighbour was a died-in-the-wool Peckham lad, and swore by the eel pie, liquor and mash which was standard fare for any south or east Londoner - 'back in the day'. 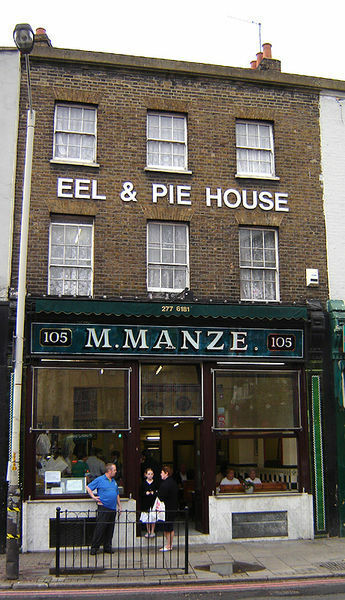 While there are fewer of these once common shops now, they are still worth a visit to try the entirely London experience of pies and 'liquor' (mushy peas), and - yes - even the surprisingly delicious eel pies: both jellied and stewed are on offer. 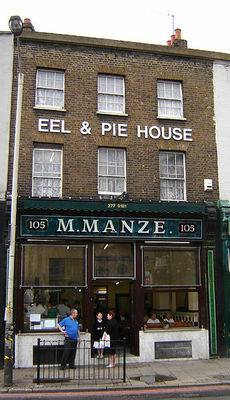 Manze's store at 105 High Street, Peckham, is one of London's oldest, established in 1902, and one of three remaining of the 14 the Manze Family have owned across London. Another alternative to the eel experience, is to pop into some of the South London pubs, which are still visited by the cockles and muscles man on a Friday night, selling plastic cups of pippis and cockles to wash down with your beer. The initial challenge with this sight is finding it. The much-loved Traffic Light Tree, created by artist Pierre Vivant, was placed on a traffic island (obviously) to replace a plane tree which had earlier died in the choking pollution. Surviving early accidents by drivers who mistook it for an actual traffic light, the lights were originally programmed to reflect changes in the London Stock Exchange, though later simplified. There was considerable community outrage when it was removed by Tower Hamlets Council in 2011 to accommodate redevelopment, but as recently as August 2012, the Council confirmed that the sculpture would return to the Isle of Dogs. Watch this space. You wouldn't necessarily go out of your way for it (having said that it is not a million miles from St Paul's Cathedral) but at 111 Cannon St, close to Cannon St station (the original site of the Roman Governor's mansion), is a discrete and almost missable grill, behind which sits the London Stone, also known as 'The Stone of Brutus'. The stone was originally much larger and situated in the middle of Cannon Street. It is thought to be the original central point for Roman London, the point from which all distances were measured. 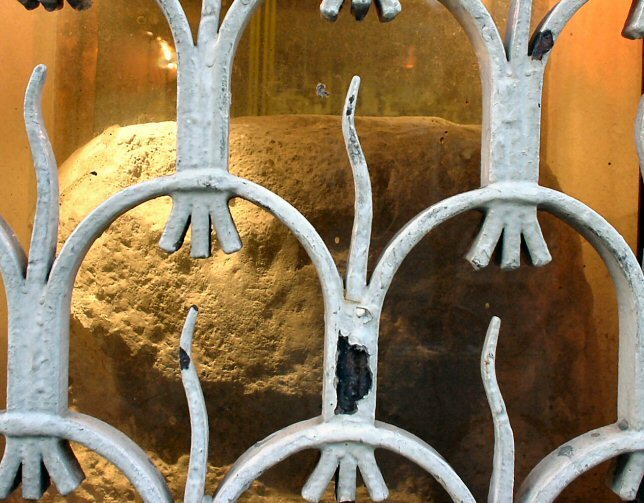 Other legends say it is the stone from which Arthur drew the sword, Excalibur. Folklore says that, just as with the Ravens of the Tower of London, London's prosperity depends on its safekeeping. Still other stories dictate that Rebel Jack Cade struck the stone with his boot and sword as he entered London, thereby proclaiming victory. Whichever story works for you, it's certainly significant to London, belying it's humble appearance. When I think of windmills, I think of Holland: tulips, edam cheese and windmills. Not London. But in fact there were well over 200 windmills in London alone, busy grinding the grains to produce flour. There are just nine of these remaining today. One of these is in the unlikely location of urban Brixton. Ashby's Mill, as it is more correctly known, was built in 1812 and operated until 1934 (though in later years it was gas rather than wind-operated), supplying wholemeal flour to West End hotels and restaurants. 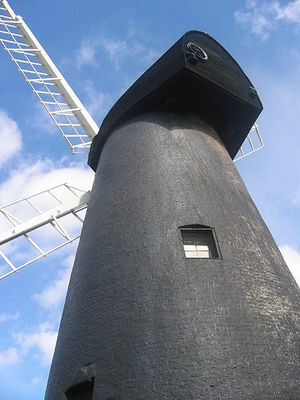 The Mill is located in the middle of Brixton's Windmill Gardens. It has been recently restored and the Friends of the Windmill offer guided tours during the summer months - check here for details. So there's the first five of my hit-list of quirky places to visit in London. It has been so hard to choose just five, in a city which practically defines 'quirky', so stand by for the next instalment, and please feel free to suggest your own other favourite slightly off-beat attractions. Cost: Mostly free unless you buy a bell, then up to GBP50k! What a great list, I never knew there were windmills in London! 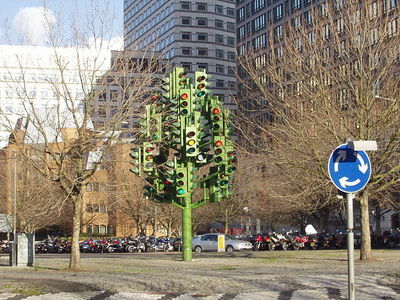 I love the traffic light tree.